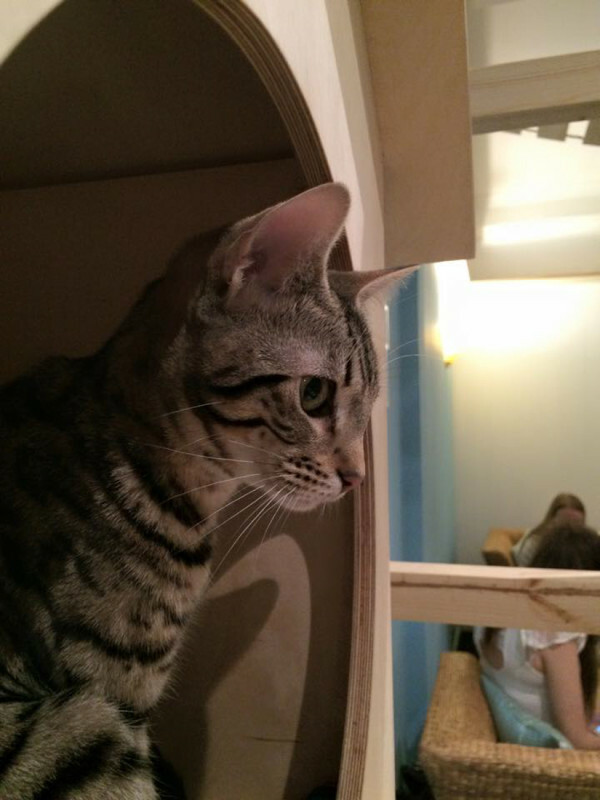 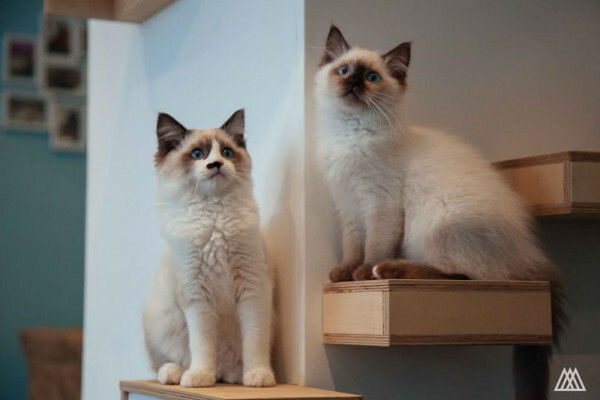 Though commonplace in Japan, Scotland’s first cat cafe, named Maison de Moggy, recently opened in Edinburgh. 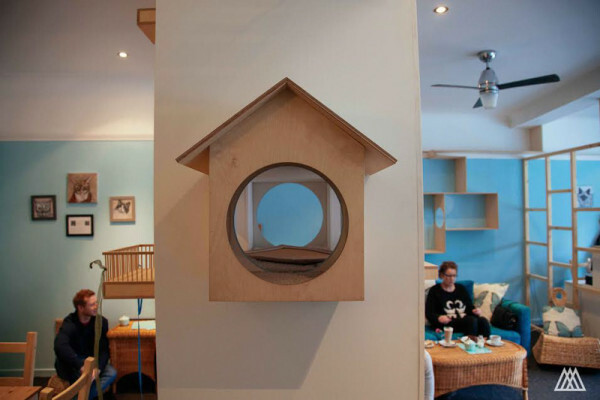 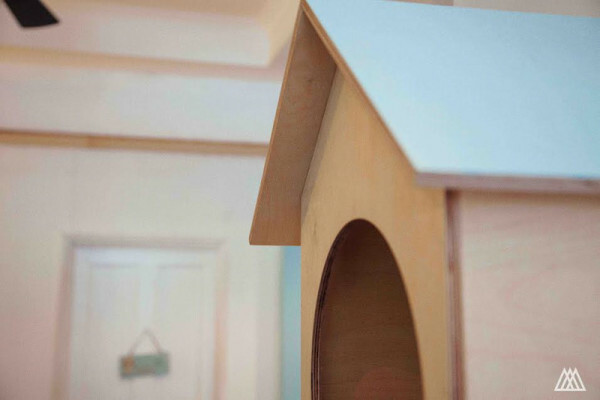 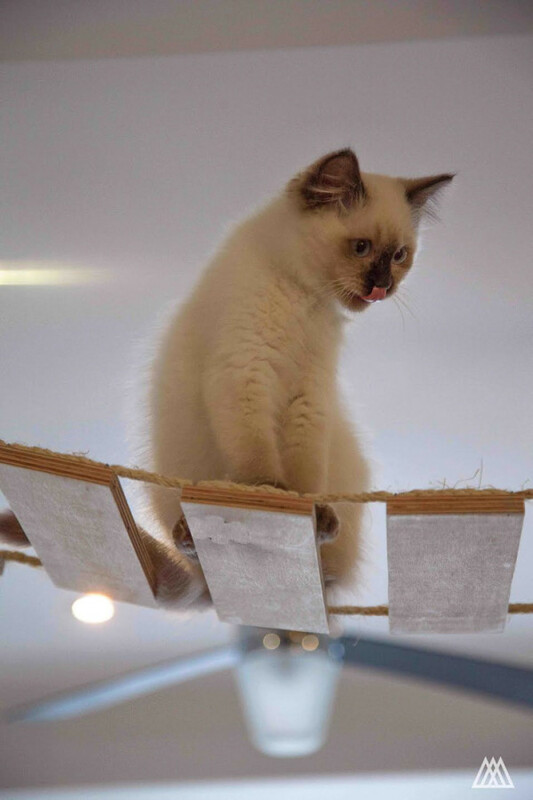 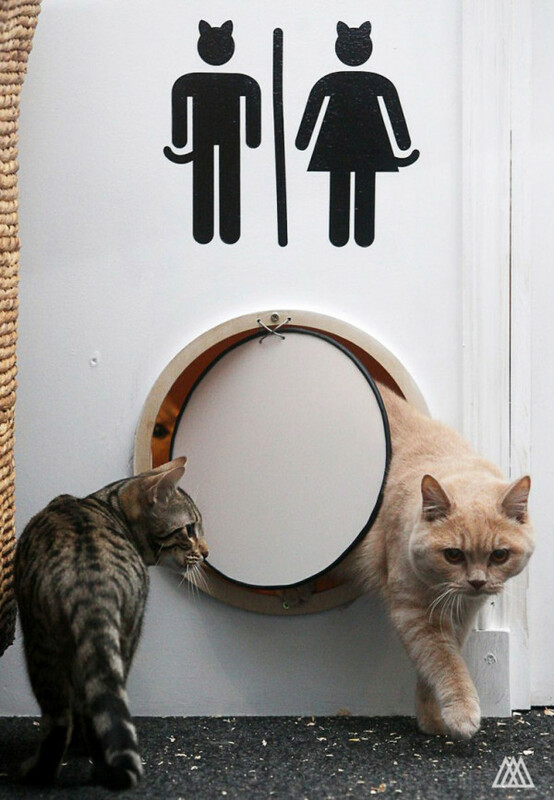 Designed by SPLINTR, the cat cafe is a cozy place for customers to play with 12 resident cats. 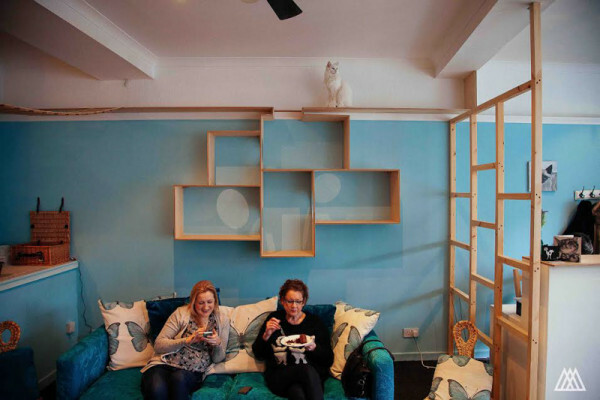 The challenge in creating a space like this, is that it needs to be a comfortable place for both felines and humans. 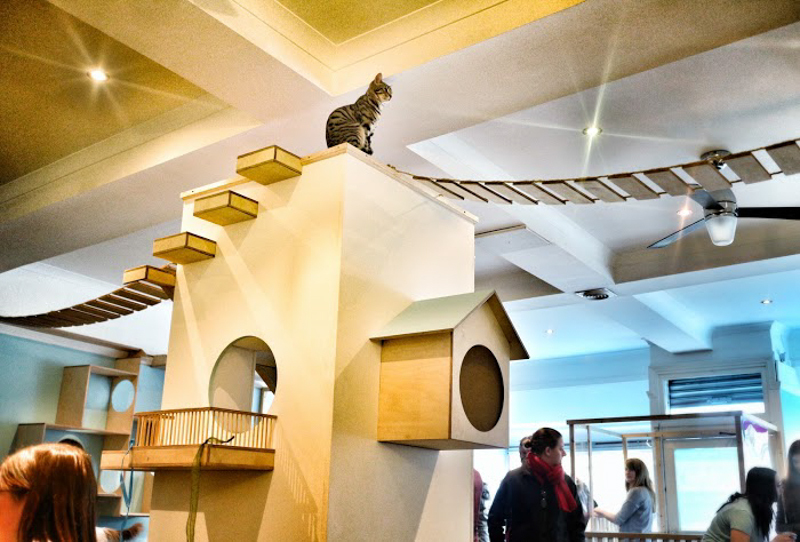 Pitched roof sleeping houses were mounted on the wall, along with rope bridges, walkways, stepping stones, and even ‘chill’ areas for the cats to frolic and hide in. 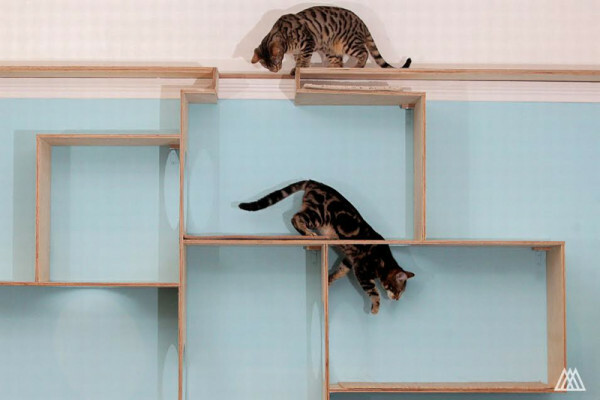 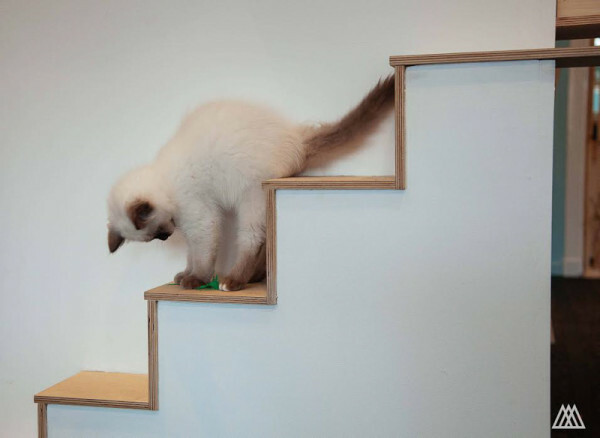 Together, the space is an interesting interior that stimulates a sense of play and whimsy in cats and humans.